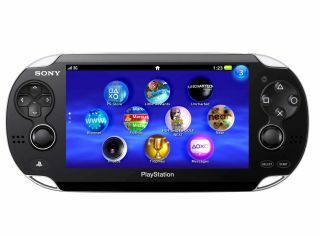 Sony announced the successor to the PSP, codenamed the NGP (Next Generation Portable), at a conference in Tokyo today and also revealed that the PlayStation brand is going cross platform. This is all to do with something called PlayStation Suite. This service will bring PlayStation-like gaming to Android devices, according to Sony, which means that the PlayStation Phone must be around the corner. "Today, we are announcing PlayStation Suite," said Sony's Kaz Hirai at the event. "It extends the PlayStation experience beyond. It's our first cross platform and it will offer PlayStation content for Android. "It will also ensure PlayStation quality across various devices." While this is all very well, the service isn't looking to cannibalise its own portable gaming market, as the quality of the games will only be to a "first gen PlayStation" standard. Bringing a hardware agnostic game framework to mobile phones is an interesting one for Sony and paves the way for 'with PlayStation' handsets – much like some current handsets have the 'with Google' moniker. Sony has updated its blog with new information about the Playstation Suite, explaining: "In providing the PlayStation experience on Android based portable devices, SCE will commence a PlayStation Certified licence programme for hardware manufacturers. "Through this programme, SCE will offer necessary support, including development support and logo licensing, to ensure the delivery of quality PlayStation experiences across various devices. "On the software front, SCE plans to provide PS Suite content during 2011, starting with original PlayStation games (PS one classics) that will allow users to enjoy quality PlayStation gameplay on their Android based portable devices." As we originally thought the PlayStation Suite will be coming a lot later, it's great to hear that content will be available "during 2011". It's worth noting that only Android 2.3 (and above) devices will be able to access the PlayStation Suite.